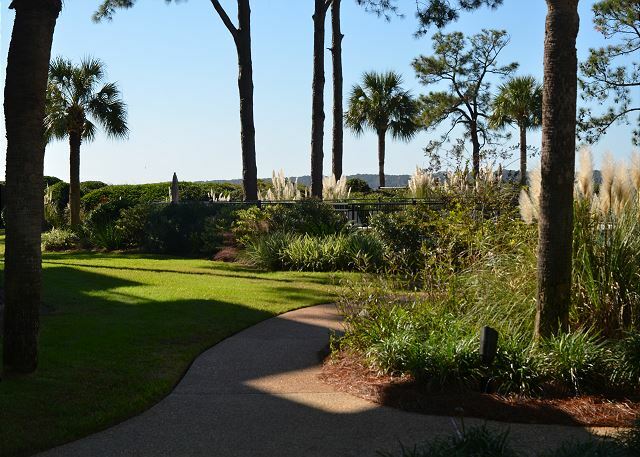 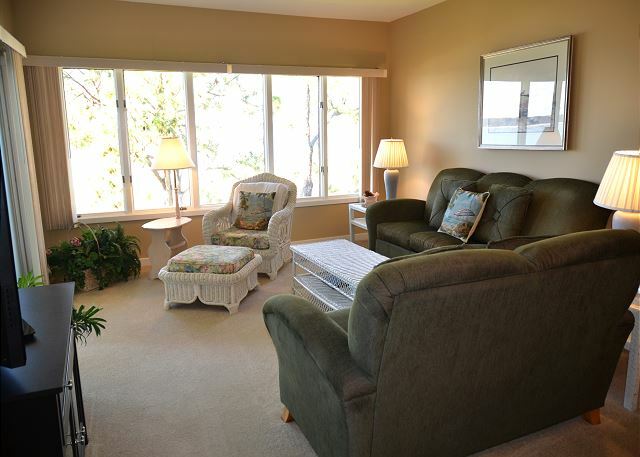 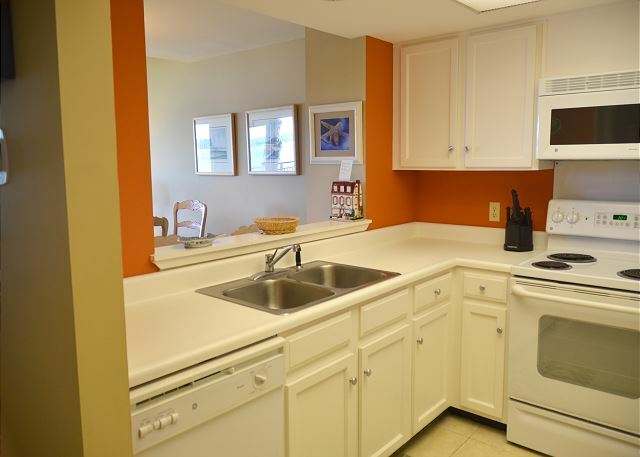 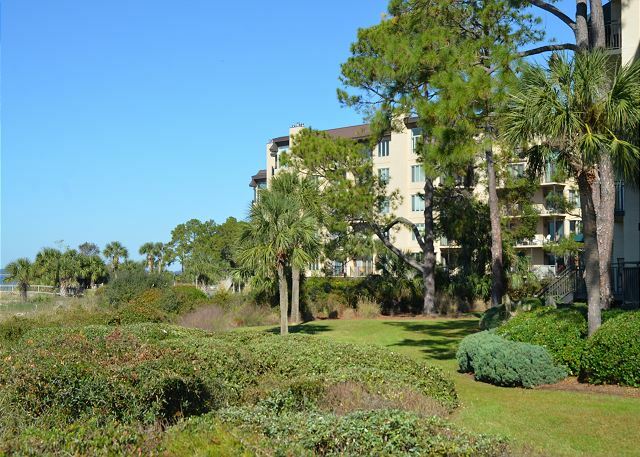 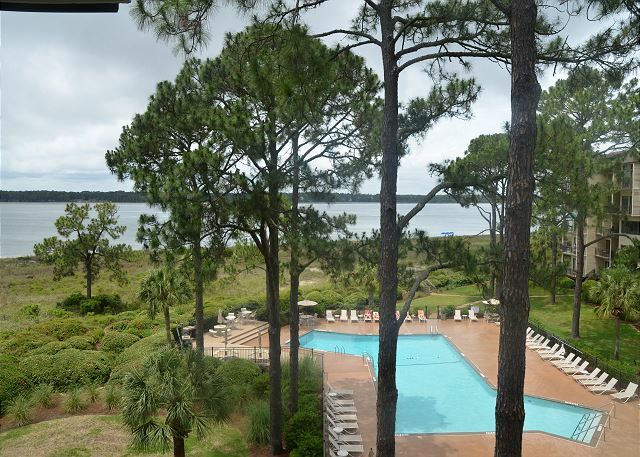 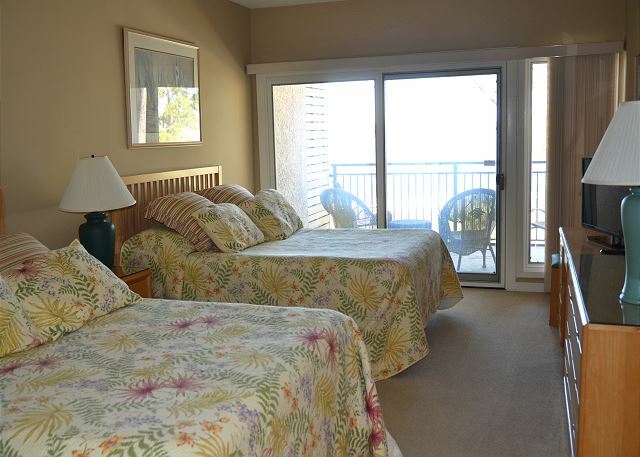 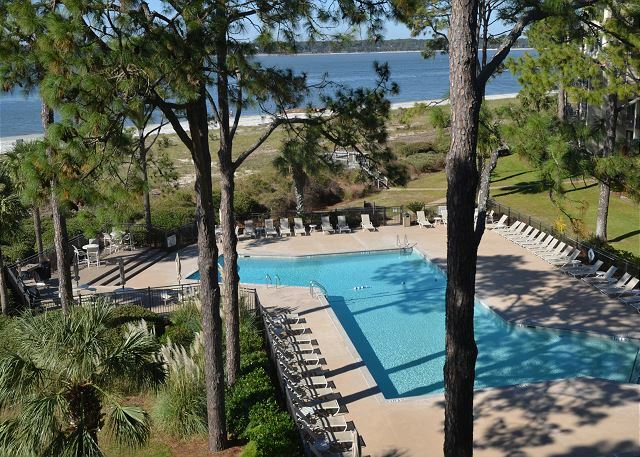 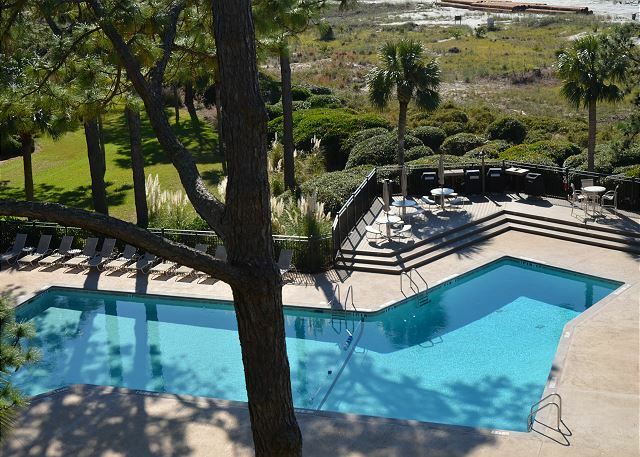 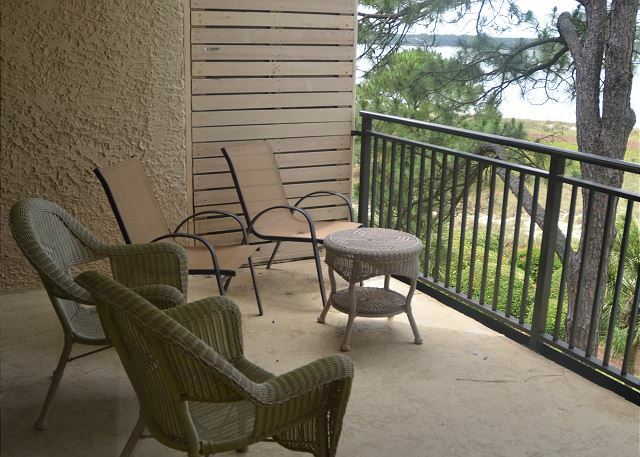 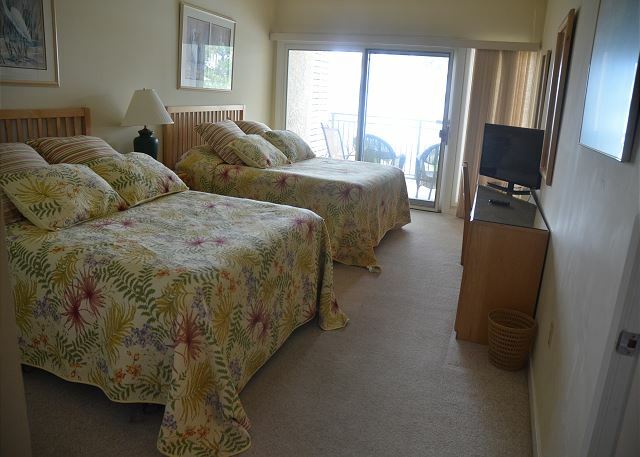 Overlooking the beautiful view of the Calibogue Sound sits this cozy 2 bedroom, 2 bathroom villa. 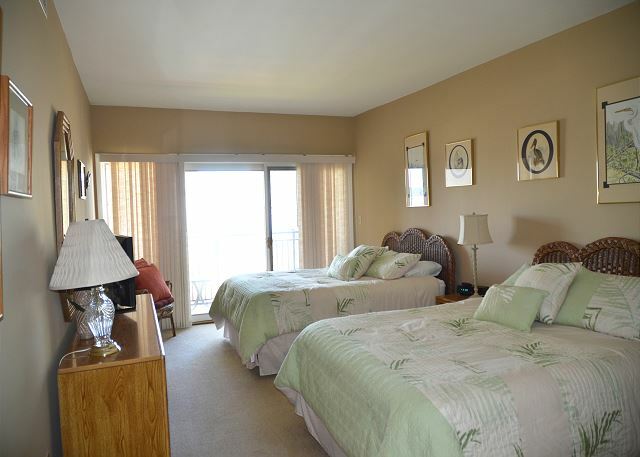 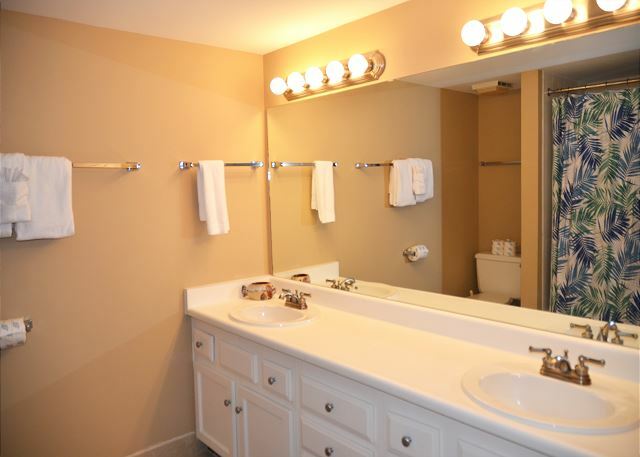 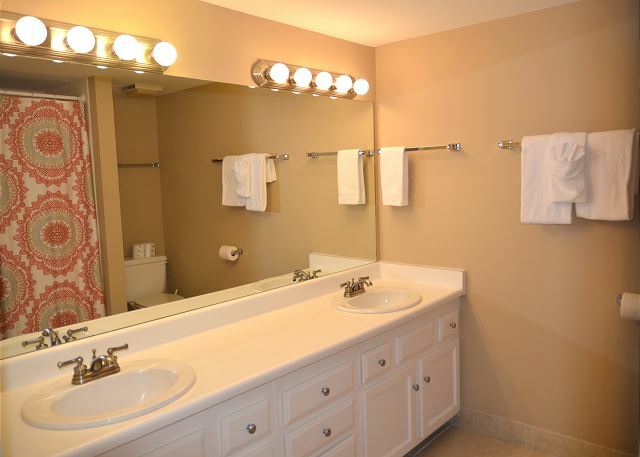 Located on the 4th floor, this villa features queen size beds in both bedrooms with private bathrooms attached. 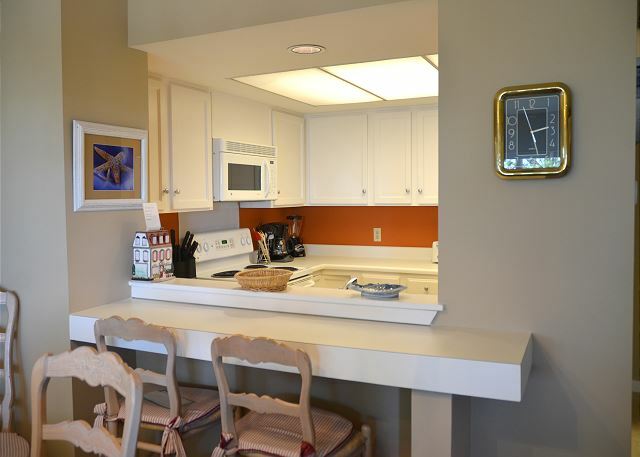 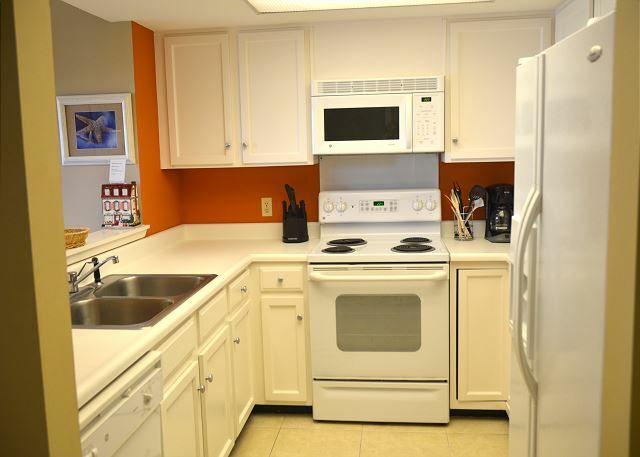 While cooking breakfast or dinner enjoy looking over the water from the open kitchen, and even overlooking the pool. 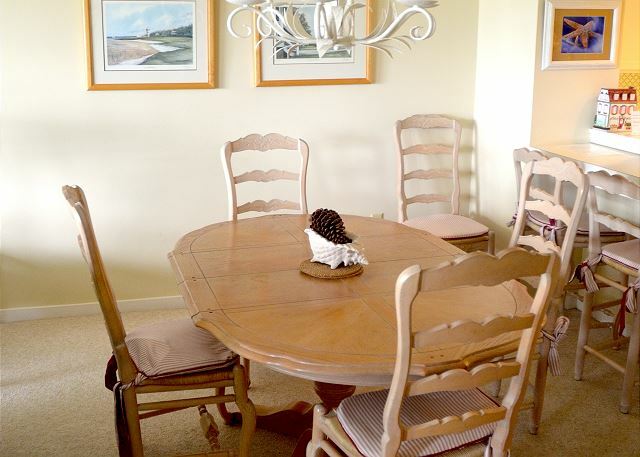 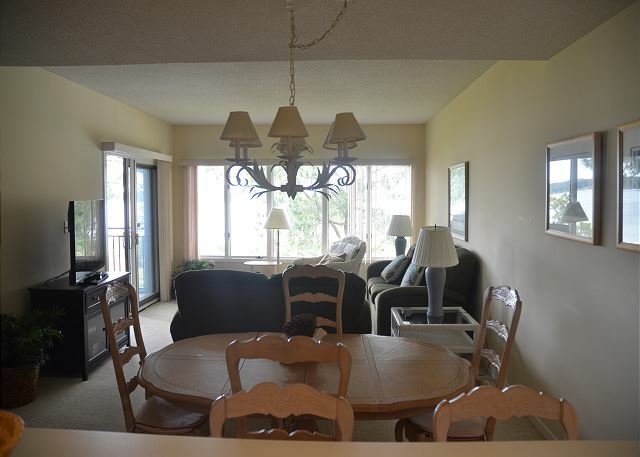 This villa has plenty of natural light throughout, and has easy access to the beach.